iconoCero: Exhibition, "Lights Shimmering Between Realms" at Kaikai Kiki Gallery. 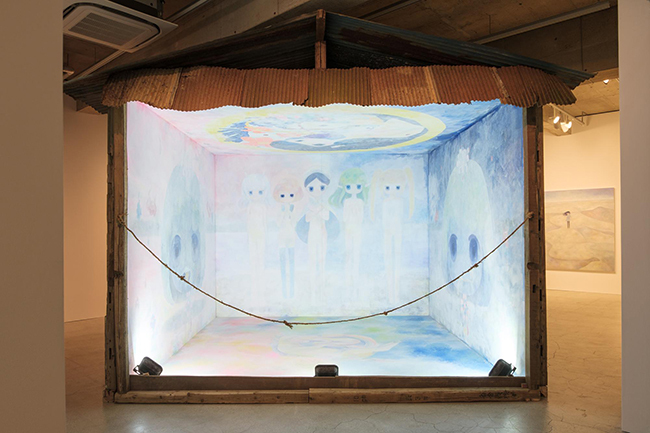 Exhibition, "Lights Shimmering Between Realms" at Kaikai Kiki Gallery. "Lights Shimmering Between Realms", 2017. 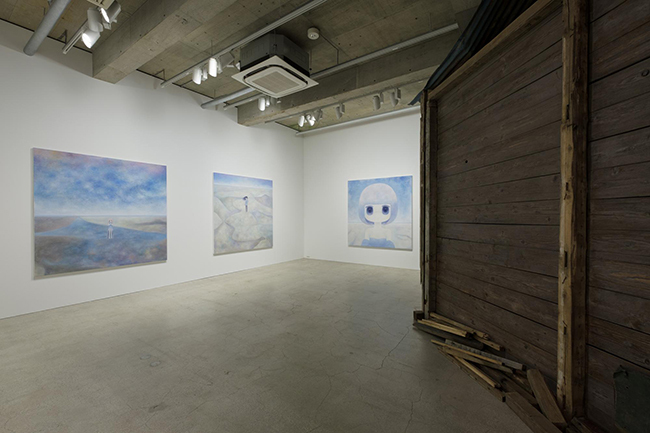 Installation view, Kaikai Kiki Gallery. Photo Ikki Ogata. With frequency, contemporary art has forgotten the transcendental impact of beauty, the overrated conceptualism and its estrangement from non-ephemeral quality artwork give painting a new opportunity to stand out again. Traditional Japanese art compromised with representation of natural beauty has evolved until be govern by a culture living into technology, anime and kawaii. The compositional aesthetic of major Japanese artist deals with it to establish its communicational power. Nevertheless, painting artwork of contemporary Japanese artist Ob (1992) is a sign that not all is lost, beyond representations of dotted pumpkins, her landscapes are particularly constructions of beauty emotional trips: desolation and parallel inner fragmentation of mind and heart appears in touching figurative girl images. This way Ob breaks the walls of pop art compositions going through a personal pursuit of aesthetical emotions. In this context Kaikai Kiki Gallery - Tokyo, Japan - presents a solo exhibition of the artist called “Lights Shimmering Between Realms”, integrated majorly by oil landscape paintings, some of them in big format, and an installation cabin which is based on painting walls with girls imagery: more in the tone of the initial style of Ob, the exhibition is programmed only for a month: from January 20, 2017 to February 23, 2017. Details at Kaikai Kiki Gallery.